Hillsborough Community College just opened a food pantry to help feed growing number of students who are food insecure. TAMPA, Fla. — Cameron Johnson is feeding his friends. The Hillsborough Community College student volunteers at a new food pantry on the school’s Dale Mabry campus. The HCC food pantry helped 750 students last semester, handing out more than 3,500 pounds of food. The pantry comes at a time when almost half of college students are “food insecure,” with the highest number enrolled at community colleges. 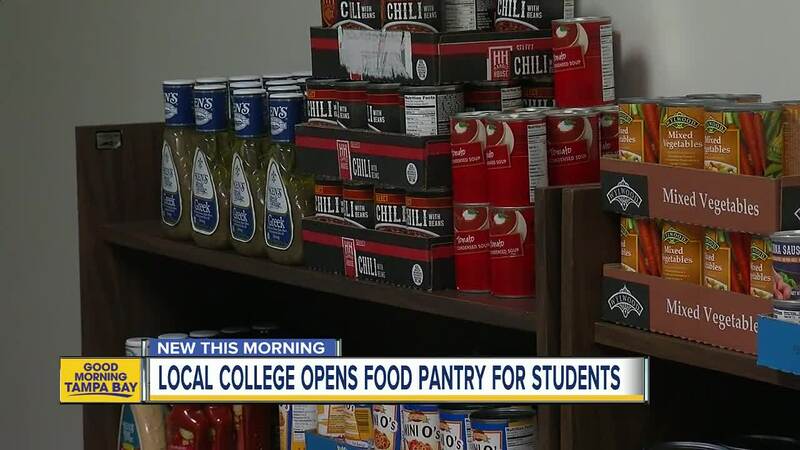 Rebecca Todd, an anthropology professor at HCC and co-founder of the food pantry, says the pantry helps students bridge the tough life gap between high school and college, between living at home and living alone.